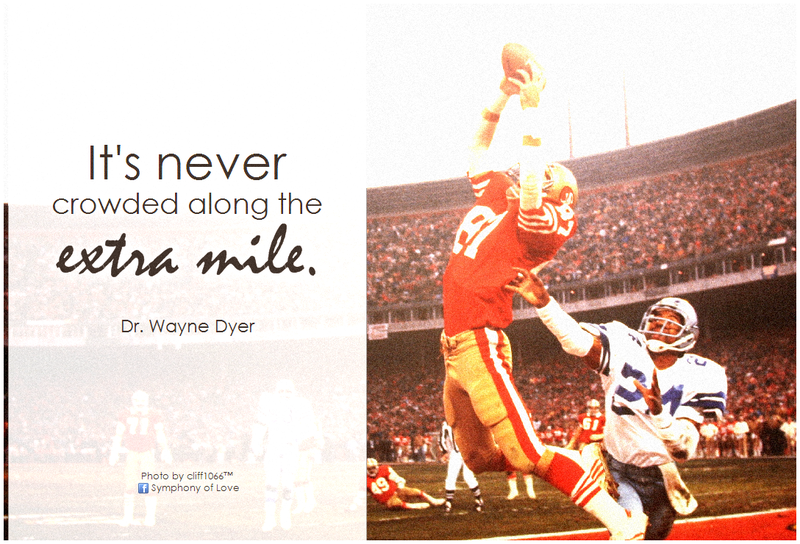 Idiom: To go the extra mile - to do more than what is required to reach a goal or complete a task; to do more and make a greater effort than what is expected. Lance: Hey, Brittany. You look really happy. What's up? Brittany: Oh, I just finished my English Conversation class. Lance: Really? I thought it ended at 12:30. It's 1:15 right now. Brittany: Well, my teacher stayed after class and explained some idioms to me and how to use them in conversation. Now I really understand and I feel great. Lance: What a nice teacher! It sounds like she really cares. Brittany: Yes, she does. My teacher really goes the extra mile to help us understand new idioms in class. She often stays late and explains things to students with questions. She doesn't have to do that during her free time. Lance: True! You are lucky to have a teacher like her. Sara: Did you like that party Billy threw for me last Saturday night for my birthday? Pat: Yes! He really went the extra mile to make the perfect party for everyone. Sara: I know! I totally didn't expect him to rent such a big room at the hotel and have the party catered with such delicious food! On top of that, he hired a live DJ to come in for the night. It was so nice! Pat: Well, Billy is like that. He is a great guy and always willing to go the extra mile for his family and friends. Meaning: To go the extra mile for someone means to do more than what is required to reach a goal or complete a task or to do more than what is expected of a person. In context 1, Brittany is happy because her teacher went the extra mile to help her understand something in English class. Therefore, the teacher did more than required to help Brittany understand the English lesson by staying during her own free time. In context 2, Billy threw a party for Sara and it was a super nice party. Billy did much more than what was expected to make it a great party. 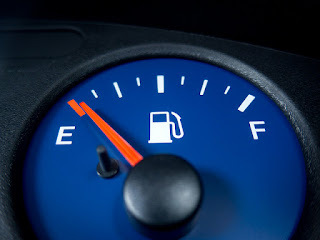 Idiom: To be running on fumes – to continue to do something or stay awake when there is almost no energy left to do it. Vincent: Hey, Brandy! Oh my God, you look so tired. Are you OK? Brandy: Not really. I still haven't finished this paper I have to write for my English class. I stayed up all night trying to finish it. Vincent: Oh no! Are you almost done?. Brandy: Yes, maybe I can finish it if I can stay awake and focus. At this point, I'm just running on fumes and I don't know how much longer I can do this. Vincent: Why don't you have a large cup of coffee? I can help you finish it right now. I have time. Brandy: Really? Thank you so much! Selena: That was such a great match! Both teams were playing so hard and wanted to win. Patricio: I know. You could tell that the other team, the Sharks, were just running on fumes at the end. They just didn't have the strength of the home team. Selena: Yeah, I guess so. They did look really tired. Patricio: Well, I'm glad our team was able to keep going and finally win. 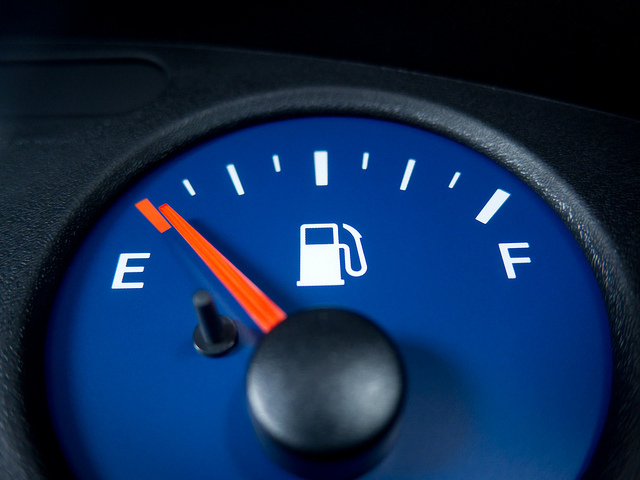 Meaning: To be running on fumes means to continue to do something or stay awake when there is almost no energy left to do it. This is said about a person or people, but it specifically refers to the last fumes of gasoline in an empty tank in a car. In context 1, Brandy has been up all night writing a paper and is super tired. However, she still has to finish the paper. She is running on fumes at this point. In context 2, Selena and Patricio have just been watching a soccer match and one of the teams looks really tired. That team was just running on fumes and eventually lost.